Los Cabos – March Break | Turning my world upside down! We left Ottawa at 7am on Saturday bound for Calgary then San Jose del Cabo. The first flight was uneventful except for my tv screen not working, so I was given a gift certificate for my trouble. Calgary was cool, about -2C when we arrived, fresh snow on the ground from a snowfall 2 days before. 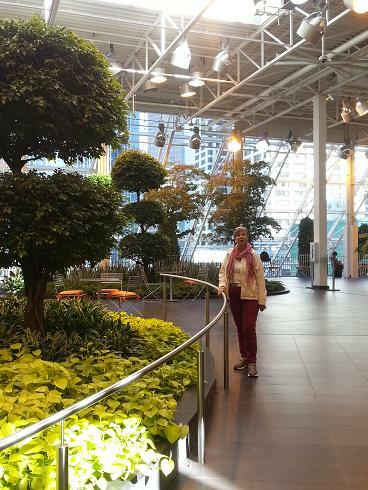 We took the city bus to downtown and walked around Devonian Gardens – a big mall with tropical gardens. Lunch was a quick stop at the food court and then we returned to the airport as I was too cold to walk around downtown and frankly, we were both anxious to get on the next flight south. 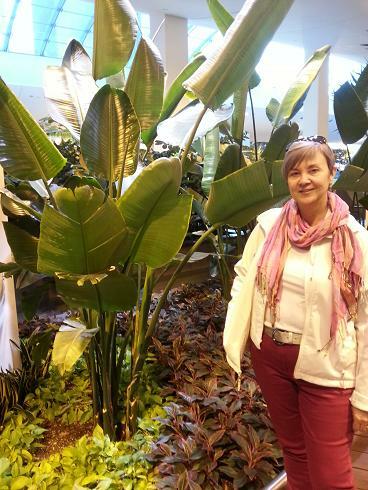 In spite of the tropical gardens, I was tired of winter and looking forward to getting on that plane south. We met up with Marilee and KO, Leon’s son’s in-laws and had a drink before we all boarded the same flight. Although we are vacationing with Leon’s son, daughter in law, grandson, her dad and his wife, the other in laws just happened to be flying to Los Cabos for a vacation as well. So let’s see, that’s one grandchild with all his grandparents along, except one. I wonder if little Griffin (18 months old) thinks we always travel as a family? La famiglia – mafia style. Well, at any rate, we finally got into our room at the Royal Solaris about 11pm (1am to our body at that point). Our room was clean, large and nothing special. Can you spell upgrade? Leon and I fell asleep quickly and were up by 7am, looking forward to a nice breakfast. We were not disappointed. 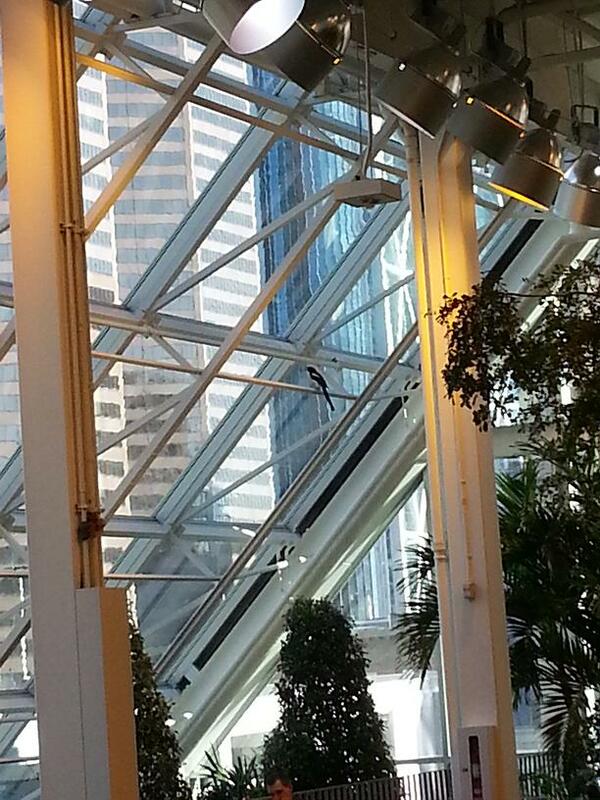 We found a magpie in Devonian Gardens. He reminded me of Burt, our Australian magpie buddy. The ones out west here don’t carol like the Australian version though. Do you think the Canadian magpie is jealous of his cousins down under? Now some of you may know that I don’t drink caffeinated coffee and haven’t done so since my 20 yr old son was 9 months old. I was a heavy coffee drinker at one time but it seems to give me heartburn, so I switched to instant decaf many years ago and more recently, hot water with lemon or green tea. 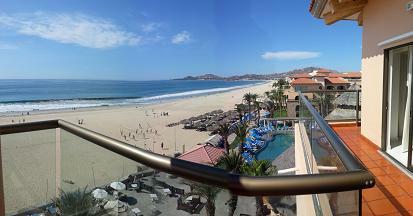 For some reason, I’ve been craving the coffee of Mexico and have been drinking 1 to 3 cups daily since I got here. So far so good.